EDWAO is a complete School Administration and Management Assistant. It helps Educational Institutions to manage their administrative data such as Student Information, Attendance, Staff, Classes, Courses, Fee Collection & many other things. No matter whether you are running a small school or a big institute, you can use EDWAO where there is a necessity of proper management of data. How Edwao support my unique educational system? We would be glad to discuss your specific requirements and provide suitable solution. We will work with you during your 30-day free trial to customize the program to your needs. Please write to us on info@edwao.com and we will get back to you. Does Edwao requires Internet Connection? Edwao is currently available as an online service over the cloud network. In this way, we are able to guarantee availability of servers & provide quick support to all our clients. Does Edwao offer training services? We definitely provide training. All of new customers obtain training as part of their initial setup. This can be fulfilled on campus or remotely. In addition, custom training is available as desired. Online training sessions are provided at no additional cost to our customers. How do we integrate your school's existing data with Edwao? We provide a step-by-step flow that will help you import your current data. Your files need to be in Microsoft Excel (.xls) format. Is there a limit on number of computers on which Edwao can be used? You can use Edwao on any computer or mobile device which has an active internet connection. How does Edwao ensure my school's data is safe from loss? Your school's data is important. At midnight every day, we backup the data to a different physical location. This is fully automatic and you don't have to do anything to activate this service. Can I put my school’s logo on Edwao? Yes, schools can have their logo and name with the software. Even they can import their own school picture on the Home screen of Edwao. For Distributors after deciding the terms and conditions we prefer to replace our Brand Logo and Name with their required name. Can we attach attendance device with school software? Yes, you can attach biometric machine with Edwao and you can get attendance of student and staff. Can We Export The Reports Into Excel Or PDF Formats? Obviously! You can convert your reports as Excel or pdf formats. It’s a very helpful option, since you can fully format and easily customize your reports as per your requirement. Does Edwao Provide Email or SMS Alert Facility? Yes, More than 95% of the parents, staff and students carry mobile phone everywhere. This means that Schools can reach to parents and students immediately reliably and in a cost effective way, in case of emergencies, on communicating quickly about parent teacher meetings, events, holidays, fee reminders etc…The Email and SMS approach saves time and money for both parents and the school management. Can we get trial before buying Edwao? You can access our demo. It is not feasible for us to set up a trial for each customer, but our demo is set up to enable you to experience the range of features. 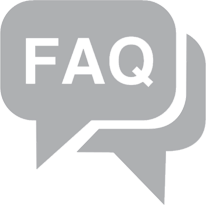 Our support team is available to answer any questions and help you with your implementation. We support our clients through email, phone & personal visit. Can Edwao create school’s website? Contact us through email info@edwao.com, phone 0172 4012341/ 8284061718, we will answer your queries or we can visit your school to clarify all your queries. You can pay via cash, cheque or online transfer to our bank account!